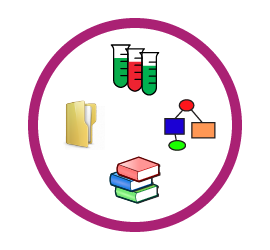 Archiving of metadata (such as project information, sample description, experimental protocols, files and emails) together with the experimental data. GRITS toolbox allows the processing and annotation of glycomics mass spectrometry data using its integrated annotation module GELATO. Results can be reviewed and customized by the user. GRITS Toolbox is based on the Eclipse framework and can be extended by third party plugins which can enhance existing features or provide new functionality to GRITS Toolbox. GRITS toolbox allows the annotation of glycomics mass spectrometry data using its integrated annotation module GELATO. GRITS Toolbox is a modular software suite for processing, annotating and archiving of glycomics data with a focus on MS data.The software allows users to upload their instrument MS data files in open file formats (either as mzXML or mzML) and annotated them using the integration annotation module Glycomics Elucidation and Annotation Tool (GELATO). GRITS Toolbox can process different types of MS data including MS profiling data, MS/MS data from direct infusion experiments, LC/MS/MS data and TIM data. To propose glycan structures as annotations GRITS Toolbox uses a set of databases which have been curated by experts using our Qrator software. Automatically annotated data can than be reviewed by the user and annotation can be changed depending on the users expertise. If MSn data is available users can review the fragment annotation of these spectra as well and use them to refine the structure annotation. Results can be exported to Microsoft Excel files and post-processed with other software tools. It is also possible to study the annotations of multiple experiments side by side to see the changes in glycosylation between the samples. This kind of report can be exported to Microsoft Excel as well. All information added to GRITS Toolbox can be downloaded from the software (e.g. files) or exported into reports (e.g. PDF or Word). 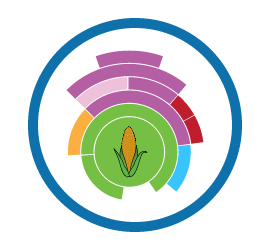 Best of all – GRITS toolbox is freely available for download from this webpage. However to be able to report usage to our funding agency we require that you provide an email address. Rest assure that we will not provide or sell your information. Storing of metadata describing the experiment performed including all the protocols used. Glycan annotations and fragment annotations can be displayed in different cartoon representations and IUPAC like text representation. 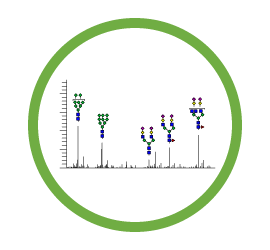 MS annotations from different samples can be compared side-by-side to see changes in glycosylation or glycan expression. GRITS Toolbox is bases on the well known framework Eclipse can be extended by third party plugins.